"universal common ancestry entails the transformation of one species into another and, consequently, macroevolutionary history and processes involving the origin of higher taxa. Because it is so well supported scientifically, common descent is often called the **"fact of evolution" by biologists. For these reasons, **proponents of special creation are especially hostile** to the macroevolutionary foundation of the biological sciences." "This article directly addresses the scientific evidence in favor of common descent and macroevolution. This article is specifically intended for those who are scientifically minded but, for one reason or another, have come to believe that macroevolutionary theory explains little, makes few or no testable predictions, is unfalsifiable, or has not been scientifically demonstrated." This will also be useful to anyone interested in properly validated scientific facts and how they debunk creationist superstition. John, you have a rather pedestrian bachelor’s degree in psychology. You challenge the likes of, among other evolutionary biologists, Dawkins. You do not provide any substantive data to support your position. You argue your position in a chat room that is not focused on evolutionary biology. When challenged, you frequently shift, redirect, refuse to address, etc. When considering the above, if your expectation is that your position be considered with weight equal to folks like Dawkins, you are, to put it plainly, deluded. Is there anyone who posts regularly to this forum and had the misfortune to "debate" with John, NOT come to the conclusion that John 6IX Breezy is deluded, arrogant, conceited and deceitful? I am always able to provide data to support my positions. What I don't do is provide data to support the various strawmen raised to represent my position. What does a non-shifting, non-redirected response to your post look like exactly lol? Well, earlier I asked if you have ever debated your position on evolution with an evolutionary biologist. Additionally, I asked if you had, what was the result and if you hadn’t, why not. I think it’s pretty clear what a non-shifting, non-redirected response to that would look like. Do you really have that much difficulty seeing it? Well, lets just say I find the irony poetic. I simply provided an example. I simply provided an example. You asked, “What does a non-shifting, non-redirected response to your post look like exactly lol?”. I responded to that saying an answer to those question would be what that looks like. At this point, I don’t expect an answer to those questions from you. I suspect you won’t provide one because you may have figured out how a truthful response would make you look. Do you really not see it, John? Will you ever answer those questions about debating your position with an evolutionary biologist? I must admit, John, I find myself waffling between thinking you may not be intelligent enough to get it vs. wondering if you are doing all this dancing about for sport. "I must admit, John, I find myself waffling between thinking you may not be intelligent enough to get it vs. wondering if you are doing all this dancing about for sport." Perhaps if you had a pedestrian degree in psychology, you wouldn't be torn with such dilemmas. Take a look at the Sternberg article Sushisnake and I were recently discussing, it may help introduce you to how intelligence works. Save it, John. We all have long experience in dealing with you along those lines. Cute responses without substance. CyberLN "John... You argue your position in a chat room that is not focused on evolutionary biology." "ʝօɦռ 6IX ɮʀɛɛʐʏ "What does a non-shifting, non-redirected response to your post look like exactly lol?" It is presented to experts in the field of evolution and biology, not in an atheist chatroom, and lets not pretend you've done this, or that this hasn't been pointed out to you, or that you are not ignoring this salient point. Go one, tell us again how an atheist internet forum is where scientific facts are now falsified. Oh goody! I'm about to get my blue moon phylogenetic tree list! "I am always able to provide data to support my positions." How many experts in evolution have you offered your "data" to? Care to share their responses? If you are able, then you have deliberately withheld! The latter is not believable, so I go with negating the former. You challenged the macroevolution model but have yet to address any of the four logical predictions of data that I selected from the fossil record. You constantly took refuge in various diversions of no particular merit. We got a lot of this diversion. What we never got from you, John, was an honest wrestling with those facts. You had to either argue that: 1) the data doesn't logically follow from the basic model; 2) present a better explanation for those data. Therefore, you have not supported your primary position. Apparently, you are unable to do so. I maintain that macroevolution is the only credible model that fits the 4 groups of fossil data I gave you. Even if macroevolution were designed to explain that data, meaning that the data could not be a proper test, it still fits the data. By comparison, you have no model at all! So, which side is more credible? Moreover, an ocean of fossils have been found since Darwin, refining our knowledge in every area, and in that light it is ludicrous to pretend that none of these new fossils permit real predictions that give a proper test. In fact, I actually cited some Precambrian fossils discovered long after Darwin, not to mention the whole Burgess Shale fossil fauna. Of course, you just ignored it! What else is new? [Edited Twice] The plain fact of paleontology is that life developed more and more complicated forms as we examine successively newer strata. Moreover, life gets more and more modern. Would you care to explain this fact without using macroevolution as the model? Add comparative DNA evidence, basic genetics, and the obvious conclusion is that life has changed over time by common descent, and the only known model is macroevolution. 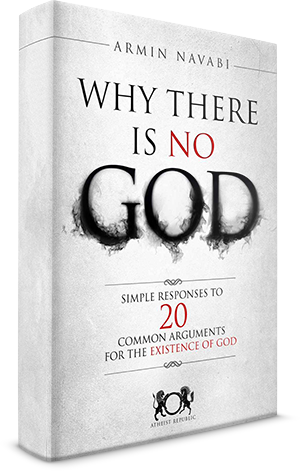 Understand that a real explanation is based on facts and reasoning whereas a story (a god "explanation" for example) is not really interested in factual justification. Breezy says : "....You need abiogenesis to be true for your theory to work. So far, abiogenesis is more the product of evolution, than evolution the product of abiogenesis." Evolution does not need abiogenesis to be possible. We can easily say the first living organism was created by God and, from it, through evolution, all other taxa emerged. In this scenario, the first step is not evolutionary but creationist. However, it does not rule out evolution. Abiogenesis is a very logical theory because from all we know about the origins of the universe, for millions of years after the Big Bang, there were no physicochemical conditions to support life the way we know it, so it has to have arisen from the initial inorganic elements available. Remember our previous conversation in which I said that if evolution is true, it doesn't need God; and if God is true, He doesn't need evolution. That applies to this discussion. If we reach a point were abiogenesis is clearly not possible, and God is brought in to explain the origin of life, at that point evolution is longer needed. Evolution needs life to originate by natural processes, at a specific point in history, and with the ability to replicate, or find all its foundations gone. That depends on the kind of god you are talking about. A god could design just the main basic laws of the universe and then let them act by all themselves. It can be a non-nosy god, just kick-starting the Big Bang and retiring to see all develop by itself... not caring much where or how it would end. Your dichotomy does not work in this case. The fact is that evolution does not have a say about abiogenesis. Perhaps, but if all such a God did was kick-start the Big Bang, and design the main laws of nature, abiogenesis would still need to be possible and occurring at a very specific time; given that in your scenario God is not the one directly creating the first organism. If abiogenesis isn't possible, then the God you described isn't possible, you would need a God that is nosy, and directly created the first organism. At that point, a God that can create one organism, wouldn't need evolution to create others. The issue at hand is necessity.
" At that point, a God that can create one organism, wouldn't need evolution to create others." And of course this doesn't motivate those who are emotionally invested in belief in such a deity to deny the fact of evolution, oh no of course not. Remind us John how many scientific facts do you deny that don't, as you just admitted evolution does, refute your religious beliefs in any way? Oh that's right you won't answer this as it would show obvious selection bias.
" If we reach a point were abiogenesis is clearly not possible, and God is brought in to explain the origin of life, at that point evolution is longer needed." 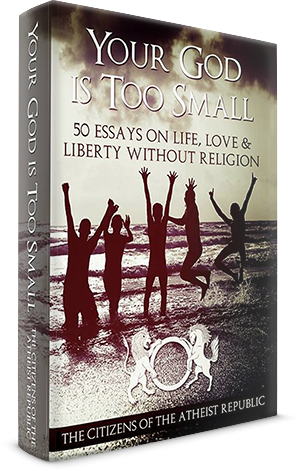 "At that point, a God that can create one organism, wouldn't need evolution to create others. The issue at hand is necessity." Says you. Who are you to say what this first organism creating god would and wouldn't consider necessary, John? It might have created the first organisms, given life the tools it needed to evolve, then retired to the Bahamas. Or dropped dead. A first organism creating deity doesn't necessitate a personal god who hung around and built its own personal petting zoo complete with zoo keepers. That might not be its bag. Perhaps its really fond of tiny, microscopic things, perhaps it loves bacteria and even not-alive viruses, but is bored by and utterly indifferent to anything bigger? YOU don't know. As Àperez said "That depends on the kind of god you are talking about." Discussing what gods can do or not is useless. As useless to discuss as to how Santa comes into a house with no chimney. I only used the example to show that evolution does not require abiogenesis. It does not. Once there is a reproductive living being with some kind of imperfect copying mechanism, evolution will proceed irrespective of how that first organism came to be. So far we do not know of life outside Earth. Maybe the first organism was seeded by aliens. It does not matter to evolution. "So far we do not know of life outside Earth. Maybe the first organism was seeded by aliens." I've been waiting for someone to say that, because I want to show Greensnake how Occam's Razor is used lol. Certainly, it may be the case that an alien planted a seed; but all you're doing with that idea is resolving the current problem, by creating the same problem again elsewhere. Its multiplying the entities, given that if we resolve our abiogenesis with aliens, we now have to resolve alien abiogenesis. So we use Occam's Razer to make the problem simpler, and make sure we're actually solving it. Oh, and obviously its not necessary for Santa Clause to go in through the chimney; its just more expedient given that he can land on the roof and enter that way. As far as what he does in houses without chimney, I suppose he goes in through a door or window instead. Re:' "So far we do not know of life outside Earth. Maybe the first organism was seeded by aliens." Um...I don't think Aperez was serious about directed panspermia. I could see his tongue firmly in his cheek from here. PS: I wasn't serious about ET tardigrades, either. Going down alleys is your way to deflect the conversation. I will try to get in on track. You said that evolution needs abiogenesis. I say it does not. I say so because evolution deals with how organisms diverge and create different taxa. Just that. Evolution assumes there are organisms already present but does not ask the question about how the first organism came to be. Abiogenesis deals with how inorganic matter could have organized to acquire biological characteristics and start life. Of course, both fields are related but for evolution theory to work it does not need that the first organism came to be in some specific way. As I said before, and you did not contest it. The abiogenesis hypothesis is logical based on what we know about the origin of the universe. In the beginning, there were no conditions for life as we know it to start, just inorganic matter. Somehow, life emerged after, so it should have emerged from the available inorganic matter. You're not religious, and you equate God with Santa Claus, right? Yet, you're trying to tell me evolution doesn't need abiogenesis by replacing it with what you consider to be Santa Claus. Imagine me being a gardener and telling people they don't need to water their plants, as long as they can replace it with fairy dust; even though I don't believe in fairies myself nor their dust. I don't know of any religion that believes in a deity that began the world in such a way. So in order for me to be wrong, you essentially have to start your own religion. Bring any existing religion's god into the equation, and macroevolution is no longer needed. I am not replacing anything. I am not replacing anything. I am not saying that abiogenesis did not happen. I am just telling you what are the fields of work of both evolution and abiogenesis. They are related but are not the same. Evolution does not require life to start in a specific way. If tomorrow we accidentally carry some microbes to another planet, and they survive, they are going to evolve and create a number of taxa. That is evolution. That planet may have a native life that emerged there through abiogenesis and it will evolve too and will create a number of taxa. Both will follow the rules of evolution irrespective of their origin. The happening of evolution is not conditioned on how the first organism came to be in that place.
" Maybe the first organism was seeded by aliens." I reckon they sent these guys. I would. I like 'em.